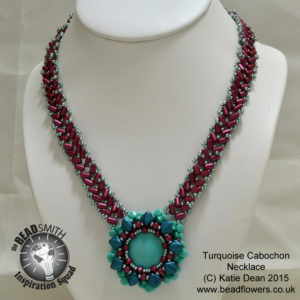 If you are new to beading…or even if you’re not…it is so easy to get confused these days. We have so many new beads on the market, that it’s hard to keep pace. So, I’ve been trying out some of these beads and using My World of Beads to help you get to know them too. In this blog, I’m asking, what are pellet beads? 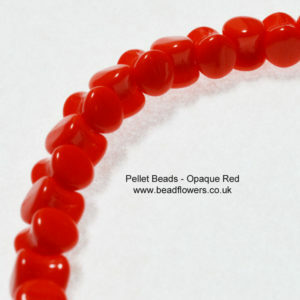 Well, pellet beads classify as ‘shaped seed beads’. They measure about 4mm x 6mm and they look a bit like an hourglass with flat top and bottom. Or, maybe you see them as a cylinder with a squashed in middle! Pellet beads are manufactured in the Czech Republic. They come in a good range of colours. When you buy them, you will most likely be buying a string of these beads. Typically, you get 30 beads per string. They aren’t too expensive either. So, if you’re looking to venture into shaped seed beads, maybe this is where you start…? What are pellet beads used for? Well, really, the only limitations here are your imagination. So, I began by asking myself this question: what are pellet beads best at creating? Firstly, I think they work best as accent beads. So, don’t think about creating a whole design with pellet beads. You want to work out which beads will sit well with them. Starting with this angle, I discovered that their ‘squashed in’ middle section makes them brilliant for beading around. So, think about stitches like daisy chain. Or think in terms of beading around a cabochon. OK, so the pellet bead is a lot smaller than a cabochon, but it still makes an interesting centre! Then, I discovered that they tessellate (join together) in a really interesting way. Although, actually, to be fair, that was pretty obvious when I bought them. Just take a look at how they sit on the string. When you pull them in tight, they are forced to alternate sitting vertically and horizontally. So, how can you incorporate that idea into a design? How do you get started with pellet beads? Well, hopefully I’ve given you a few thoughts to explore if you enjoy designing. If you’re not so confident about creating your own designs, then don’t worry. I have some patterns that you can use to get started right away. 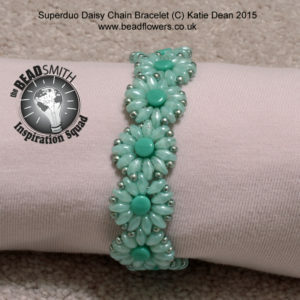 This pretty daisy chain bracelet mixes Superduos and basic seed beads with the Pellets. It’s a pretty simple project. So, I recommend this as a good place to start. Also, you don’t need too many beads for this one. So, maybe you already have Superduos in your stash and this is an easy way to now try the Pellets. 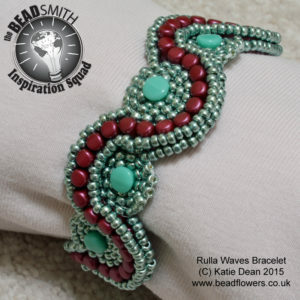 If you want to try out the idea of beading around the centres, in a slightly more complex pattern, then how about this bracelet. You will also need Rulla beads and seed beads for this project. But it won’t require too much of an investment and the results are stunning. Lastly, if you want to try the idea of tessellating those pellet beads, this necklace pattern is for you. Look closely and you will see the pellet beads form a little accent around the edge of the pendant. You will also need a cabochon, seed beads, silky beads and rulla beads for this project. Luckily, the website sells all the supplies along with the pattern. What are pellet beads going to mean for you? 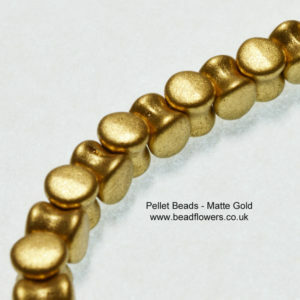 I hope this has tantalised you and maybe even inspired you to try out the pellet beads. So, please do share your experiments with me. Let me know what these beads mean for you. If you want even more project ideas, then check out this website.